Special spiritual benefits are attached to the designation of a church as a minor basilica. 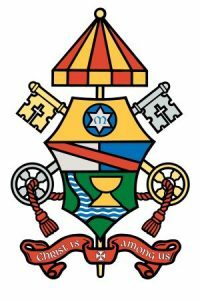 All Catholics who are properly disposed may seek a plenary indulgence by visiting the Basilica on specified days and by fulfilling the conditions required. Feast of St. Anthony of Padua (June 13) – the date of the concession of the title of minor basilica in 2013. Feast of the Immaculate Heart of Mary – Patroness of the Diocese of Steubenville (celebrated on the Saturday following the Second Sunday after Pentecost). Solemnity of the Holy Apostles Peter and Paul (June 29) – Patrons of the Apostolic See. Solemnity of the Assumption (August 15) – Patroness of the Basilica. Feast of Our Lady of Guadalupe (December 12) – the date of the consecration of the church in 1909. The practice of offering indulgences is directly related to the saving mission of Christ entrusted to the Church and is dependent upon the authority of the Holy Father, who bestows these favors in view of the Passion, Death, Resurrection, and Ascension of Christ. The spiritual benefits to be gained unite in charity the members of the Body of Christ, living and dead, and promote renewed repentance and reconciliation with God and with one another. In essence, through the merits of Christ, indulgences foster growth in our baptismal relationship with the Holy Trinity and deepen love of neighbor, living and dead. An indulgence is a favor granted to an individual by the Church through the merits of Christ that removes, either partially or completely (plenary), the temporal punishment that remains for sins that have been forgiven. Indulgences do not remove sin, that is, the guilt of sin. Serious sin (mortal sin) that has been confessed to a priest with sincere contrition and a resolve to sin no more, is forgiven in the Sacrament of Penance. This Sacrament also removes the eternal punishment that such a grave offense against God would merit. But, once forgiven, the wounds and effects of our sins remain and block the full action of the Holy Spirit within us. The Church teaches that we must undergo temporal punishment in the life or after death, in Purgatory, to remove the effects of sin and prepare us for eternal happiness with God in Heaven. Temporal punishment may be removed now by voluntarily uniting our sufferings in this life with those of Christ and by our prayer and acts of charity. Temporal punishment also may be diminished or removed by a partial or plenary indulgence. An act of devotion required to obtain the plenary indulgence attached to this Basilica on the days specified may be a devout visit to the Basilica with a recitation of the Lord’s Prayer and the Creed. In addition, the visit may include Mass, Benediction, Liturgy of the Hours, Stations of the Cross, the rosary or another devotion to the Blessed Virgin Mary, a period of adoration and meditation before the Blessed Sacrament exposed or reposed in the tabernacle or another pious action.